The start of a new year is a perfect time to familiarize yourself with birth flowers. To help you choose blossoms and bouquets to give this month and every month until we say Happy New Year again, discover the perfect symbols for celebrating a loved one’s birth month by referring to this guide. The Romans were believed to be the first to associate specific flowers with months of births. Since then, many cultures have been inspired to give certain flowers based on the month in which a friend or family member’s birthday falls. Even florists promote various flowers as birth month flowers. If you’re planning on giving flowers this year to someone special, consider flowers for that person’s birth month. Carnations symbolize love, distinction and fascination. They’re hardy, sweet and fragrant flowers that are popular for weddings. 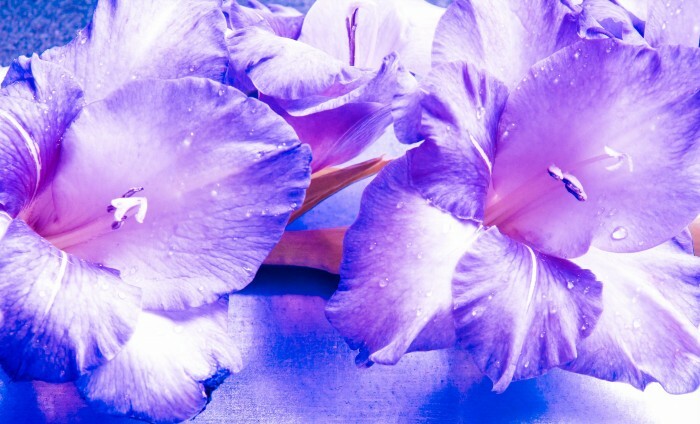 Many associate the violet with wisdom, hope and love. Violets say that your love will always be true, a beautiful sentiment for Valentine’s Day birthdays. Signifying rebirth and spring, daffodils are perfect for March birthdays. They also symbolize friendship and respect. If you have an April birthday in your circle, give daisies. These flowers, all 5 main types of them, represent innocence, youth and purity. Say that you love and appreciate your May birthday giftee by giving Lily of the Valley. This flower’s meaning differs slightly depending on the color, but each says “love” in some way. The sweet-scented rose speaks of a return to happiness. It’s also sometimes associated with humility and chastity. Larkspur symbolizes lightness and levity. It’s striking natural beauty is an intriguing contrast to the flower’s delicate form. Strong love bonds are noted with larkspur. Honor someone’s strength of character and moral integrity with Gladiolus. This long-lasting flower can also represent infatuation or remembrance. Aster conveys deep emotional love and it offers profound feelings of affection. The flower also signifies remembrance and patience. Give marigold to someone warm and fierce. It’s also perfect for anyone who exudes elegance or to whom you’ve pledge devotion. November birthdays can be celebrated with chrysanthemum, a flower of compassion, joy and friendship. Red varietals mean love, white convey innocence and yellow denote unrequited love. Give good cheer with red, white or pink poinsettias. You might be surprised that these flowers offer wishes for success too!